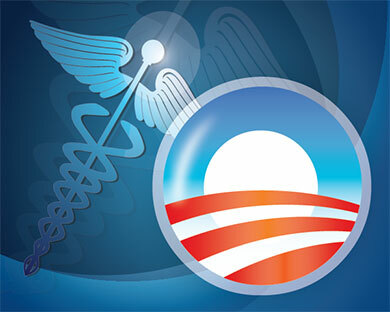 Could the Affordable Care Act be derailed by four words? We will soon know if the words “established by the state” are the last words on Obamacare. The Supreme Court will be taking up a challenge to the Act this fall; if the Court rules in favor of the challenge, the Act could collapse. There are three main pieces that make the law function. First, insurance companies cannot discriminate against consumers on the basis of pre-existing medical conditions. Third, there are subsides to help lower-income Americans buy private insurance in government-run marketplaces. The law’s challengers, arguing to interpret the law literally, suggest that subsidies should not be available to consumers in states that opted to rely on the federal exchange. The law’s supporters contend that, following the drafters’ intention, the provision is a mere typo. Given that thirty-seven states opted to rely on the federal exchange, a ruling for the challenge would spell trouble for the act. More than two-thirds of people who have signed up for health insurance have done so in a federal exchange. Subsidies cover an average of 76 percent of premiums on the exchange. Taking the two facts together, the law could collapse without the subsidies, as insurance costs would be prohibitively expensive on the exchanges. The Supreme Court, motivated by conflicting rulings in lower courts, will hear the case this fall. How do you think the Court will rule? Tell us in the comments below.